So over this past weekend I went to see Batman with the biggest comic person I know, Fernando!!! Most of you guys met him way back when I did the Boyfriend Tag on my YouTube Channel. Now he is great with movies and the history of comic book story lines. He’s loves that stuff. Originally I was going to do my little quick review of the movie and say how amazing it was and all that, but knowing me, my review would have read, “Oh my God, this movie was so amazing and so much action!! Bane was great! Batman was great and Anne Hathaway was a great Catwoman.” ~ The End. LOL. I know what I am good at, and writing movie reviews isn’t one of them. Now at first glance The Dark Knight Rises had a lot of questions that needed to be answered before the movie even hit the theaters. Was this gonna be the right ending for this prominent franchise? Will the new faces (Anne Hathaway & Tom Hardy) be able to hold their own in comparison to The Dark Knight cast members (Heath Ledger & Aaron Eckhart) in their respective villan roles? 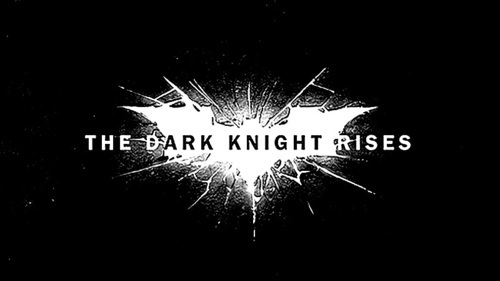 Now going into this movie the expectations were very high with the countless promoting of the film and even with the success of their Marvel counterpart The Avengers doing so well in theaters earlier this year, The Dark Knight Rises had to come hard to steal the crown as summer movie king. The storyline was set very well based on the last two films while still keeping its own identity. Once the character Bane (Tom Hardy) was introduced, it really made you realize that Batman would have his hands full facing someone more physically gifted than himself and with more of an attitude to match. 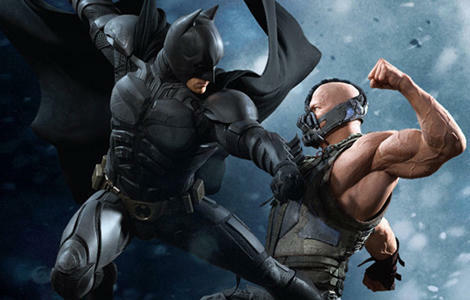 Tom Hardy’s Bane was a great depiction of the famous Batman villan, he brought a more realistic feel to the character. Besides his giant frame, he mentally gave Batman a run for his money in addition to physically demolitioning Batman in the film. Anne Hathaway might have had the biggest question mark when it was revealed that she would be playing Catwoman just based on past attempts at Catwoman failing horribly by other actresses. She definitely brought her “A” game for the role and I feel she did a great job from her high-flying antics to her slick one liners; she definitely did the character justice. When it was all said and done I was very pleased with the film, Christopher Nolan did very well taking this franchise to the next level with some unforgettable characters and great story telling staying as true to the comic more so than past attempts at Batman. So I feel it ended well with some healthy question marks that make for good “water-cooler” conversation. (Picture Above: After seeing Bat Man w/ Fernando Over the Weekend. I had to get me some Rita’s afterwards!!). I hope you guys enjoyed his review of the movie. It was a great movie and it you haven’t seen it you should DEFINITELY go and check it out. Even if you are not a huge Batman fan it was still a great movie. Now for those wondering did you have to see the past Batman movies to know what it going on in this one? I would say NO. The movie is still watchable and understandable even if you haven’t seen the other parts of the series. BUT, I would say you should definitely see the other movies in general just because they are great as well and you may have a better appreciation to the Batman story line in general. I enjoyed the movie outside of that one tidbit at the end where they revealed a certain police officer’s name was “*spoiler*”. Smh. Other than that and Bane being short i loved it! LOL! what certain police officer?? did I miss that?? Oh never mind i know who…but throughout the movie i had a feeling thats who he was…. mannnnn I feel like Nolan threw that in there just to troll comic book fans.